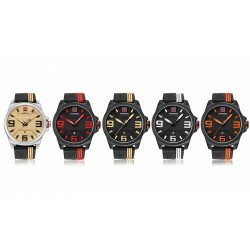 Watches There are 53 products. 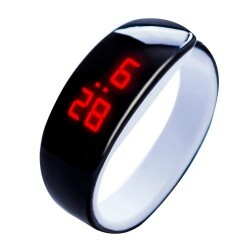 LED bracelet watch. Material: acrylic, silica gel. Shows time, year, date. Easy to operate. 24 hour system. Power saving mode. Perimeter: 210mm. Weight: ~ 22g. Please select a color. 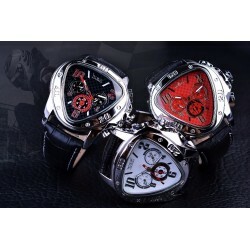 3-pin buckle watch. Movement: quartz. Body material: metal. Band material: nylon. 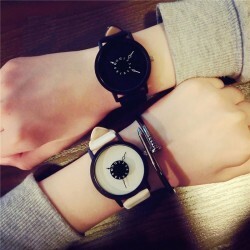 Dial diameter: ~ 40mm. Band width: ~ 20mm. Case thickness: 10mm. Band length: 24cm. Please select a type. 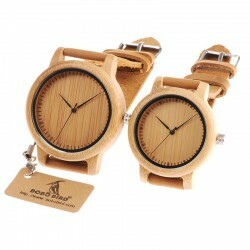 Analog men's watch. Movement: quartz. Material: alloy. Band length: 220mm. Band width: 18mm. 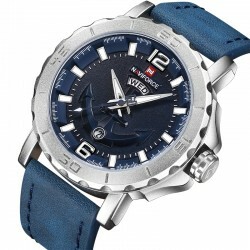 Case diameter: 41mm. Case thickness: 10mm. Please select a color. 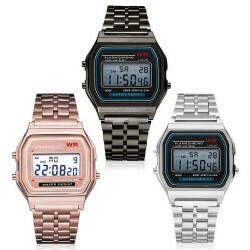 Sport digital watch unisex. Case & band material: stainless steel. Dial diameter: 33mm / 1.30" Case thickness: 10mm / 0.39" Band Width: ~ 15mm / 0.59" Band length: ~ 225mm / 8.86" Please select a color. 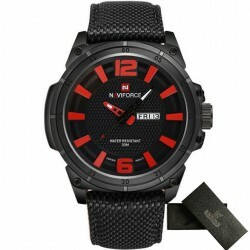 Men's digital quartz watch. Case material: stainless steel. Band material: rubber. Led backlight display. Band length: 27.5cm. Band width: 24mm. 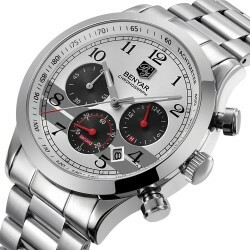 Dial diameter: 47mm. Please select a color. 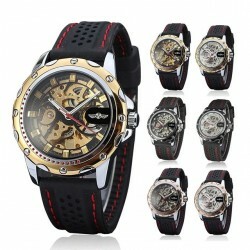 Quartz analog men's watch. Case diameter: ~ 42mm. Band thickness: ~ 18mm. Band length: ~ 210mm. Material: stainless steel. Water resistant. 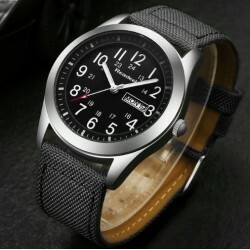 Brand Name: FNGEEN Water resistance depth: 3Bar Dial window material: hardlex. Movement: automatic self-wind. Band Material: stainless steel. Clasp type: buckle. Case material: alloy. Band width: 20mm. 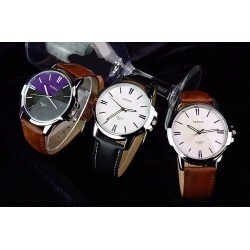 Dial diameter: 40mm. Case thickness: 12mm. Please select a type. 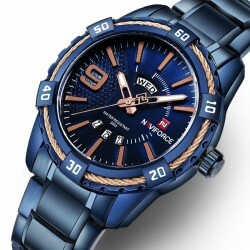 Brand Name: FNGEEN Water resistance depth: 3Bar Dial window material: hardlex. Movement: automatic self-wind. Band Material: leather. Clasp type: buckle. Case material: alloy. Band width: 20mm. Band length: 24cm. 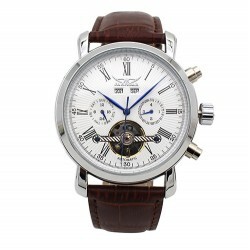 Dial diameter: 40mm. Case thickness: 12mm. Please select a type. 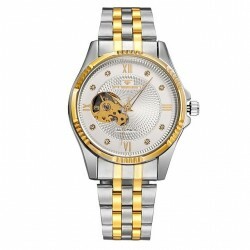 Luxury, business men's watch. Dial: blue glass with blue light flashing. Movement type: Quartz. Display type: analog. Band material: leather. Clasp type: needle buckle. 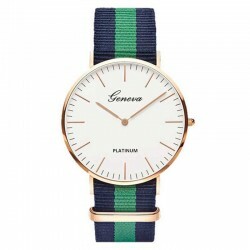 Watch length: ~ 24cm. Dial diameter: ~ 4cm. Band width: ~ 2cm. Dial thickness: ~ 1cm. Weight: ~ 39g. Please select a type. 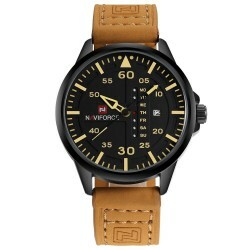 Sports, Military Men's Watch. Brand: Readel. Japanese quartz movement. Case Material: alloy. Claps Type: buckle. Band Material: nylon fiber woven. 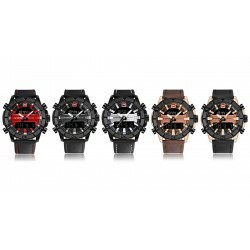 Waterproof: 30M daily water resistant. Function: time, date, week. Length: 24.5cm. Dial Width: 4cm. Thickness: 1.1cm. Please select a color. 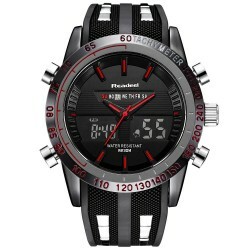 Digital Electronic Men's Watch Water Resistance Depth: 50m Clasp Type: needle buckle Band Material: PU plastic Dial Display: solar + digital Case Material: ABS plastic Case Diameter: 42mm. Case Thickness: 13mm. Please select a color. 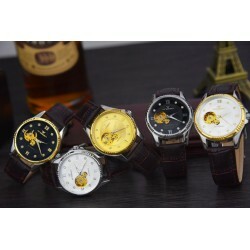 Elegant men's watch. Movement: automatic mechanical. Band material: silica gel. Band Width: 2cm. Band Length: 24cm. Dial Diameter: 4.6cm. Please select a type. 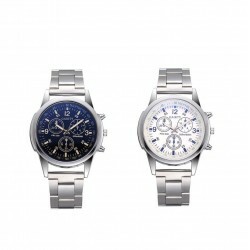 Men's quartz watch. Band material: leather. Case material: alloy. Dial material: glass. Water resistance: no. 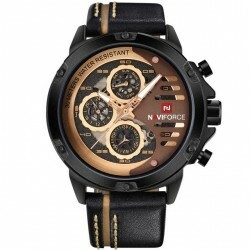 Dial diameter: 40mm. Band width: 20mm. Band length: 25.5cm. Case thickness: 10mm. Please select a type. 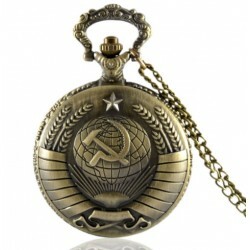 Antique style pocket watch. Simple dial with 12-hour-dial. Soviet design. Quartz movement. 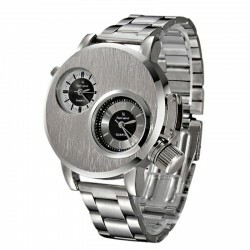 Stainless steel case Diameter: ~ 4.5cm. Length chain: ~ 80cm Please select a type.